If you prefer to order via New Leaf Distributing, please email domestic@newleaf-dist.com, or use your existing account. ORDER FROM THIS PAGE ONLY IF YOU ARE A RETAIL OUTLET. Individual consumers please order here. Purchases made here are all via PayPal. If you prefer, I can invoice you, also via PayPal. OR, you can mail us a check, and your merchandise will ship as soon as the check clears. We only take credit cards directly at psychic fairs, book shows, and other face-to-face events. ALL purchases must be shipped via one of these shippers: USPS, UPS, FEDEX. Most purchases are automatically shipped via USPS Priority Mail. Note: All shipments over 10 pounds or 25 items will have shipping invoiced via PayPal, based on weight, via USPS. For alternate shipping methods or to have entire order invoiced, please email order to psycardsusa@gmail.com and pay promptly when invoice is received. 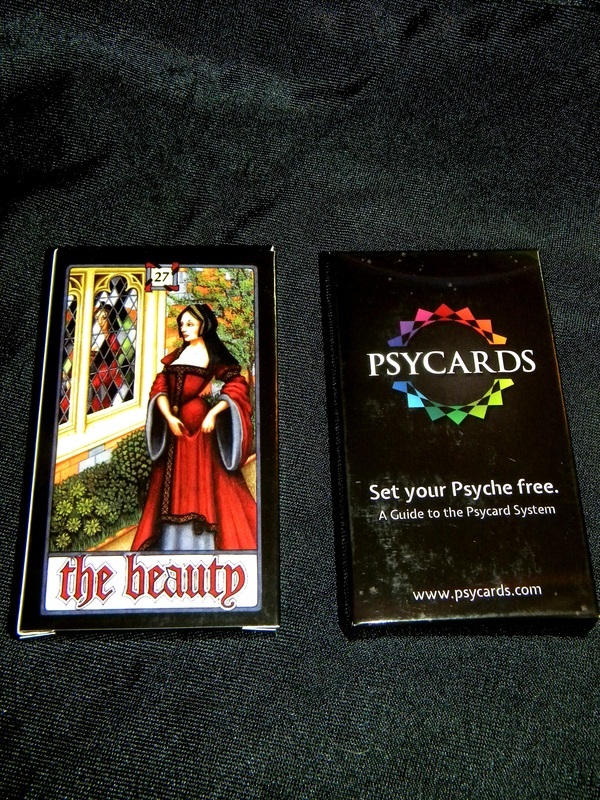 Box Set Psycards System discontinued...please order the same products individually below. Our new package stocks well on the shelves and is beautiful. 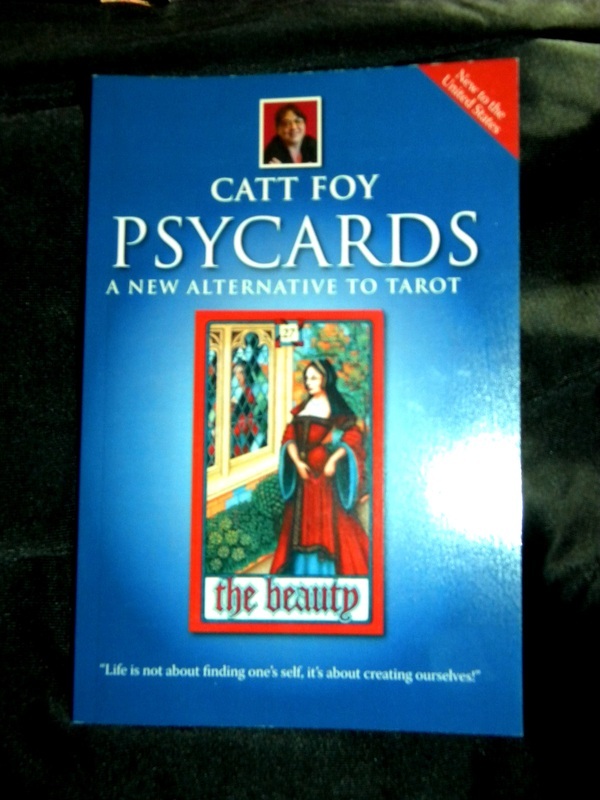 The new system includes the Psycards, Psycards--A New Alternative to Tarot by Catt Foy, an imprinted Psycards pouch large enough to hold book and cards, and a crystal pendulum. Each pendulum is different. 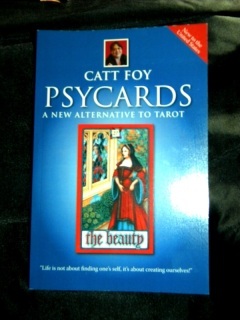 For those of you who already have a deck of Psycards, here is the long-awaited book by Catt Foy. This 137-page manual provides step-by-step guidance to doing readings with your Psycards, including 10 different card layouts. Filled with wise advice on developing, your intuition, it also contains detailed interpretations of the individual cards. Retails for $18.95. _The 40-card deck lavishly developed by Nick Hobson of London. Lavishly illustrated by Maggie Kneen. Retails for $22.95. 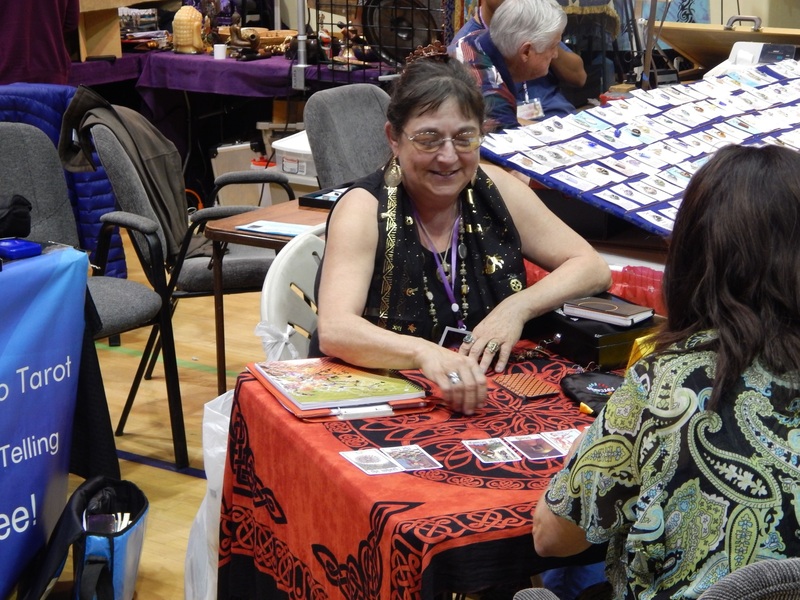 Host readings in your store or meeting space. 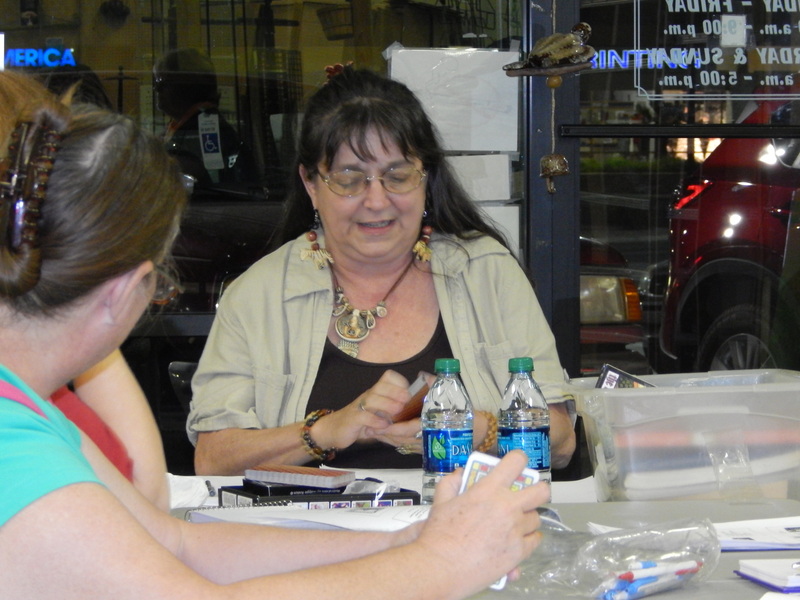 Reading sessions provide mini-readings for $10, basic readings for $35 and in-depth readings for $65. 20% of proceeds go to store, after $50 minimum is met and $0.65 a mile after the first 25. Available within a two-hour radius of Eugene, OR. If you need a custom pricing schedule or are outside of the area, please contact us directly for more information. _Host a 2-hour Psycards class, taught by author Catt Foy, in your store or meeting space at any location in Western Oregon Minimum of 6 students, up to 20 students. Books and materials must be purchased separately. 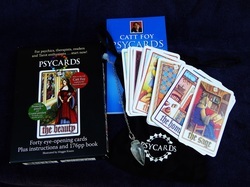 It is recommended that each student purchase a deck of Psycards and a copy of the book Psycards: A New Alternative to Tarot via their local retailer. Classes can also be held as private parties. $200, plus $10 per student and $.065 a mile for miles over 25. Locations further than a 2-hour drive, Catt will need accommodations for two or a hotel allowance. For custom payments or arrangements, please contact us directly. $150 deposit, balance to be invoiced. Medford to Portland, Cascades to the Coast.